Everyone who is moving house should be aware of the importance of a high quality professional assistance. A poor moving service is one of the worst things that can happen throughout the relocation process in NYC, so choose wisely the moving company you will entrust your belongings. When you are about to start your research, make sure you are able to distinguish trustworthy NYC movers from rogue movers. Finding a reputable moving company is usually very daunting process due to a variety of moving companies operating in the Big Apple. 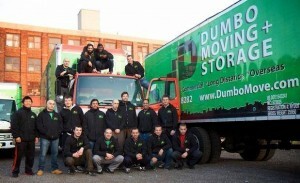 There are some basic criteria every reputable moving company should meet. Other people’s experiences do matter. A recommendation from a friend who has moved house recently can go a long way while searching for a professional moving assistance. Furthermore, you can get a deeper perception of a moving situation by reading moving reviews. A positive review is usually a sign of a good business ethics and customers’ satisfaction. Also, make sure to check with the BBB whether there are any complaints against the company. Company’s website should contain the most important information – contact number, email address, company’s full name, address, licenses,… A large moving company should have all locations listed, so the customers can find the nearest office. Also, the company’s licenses and affiliations should be clearly displayed on the website. When you call the moving company, ask for the references and get in touch with the previous customers. A positive experience can be very helpful during your quest. – Is your chosen moving company legitimate? Your moving company should be a legal business, licensed by Federal Motor Carrier Safety Association (FMCSA). International movers should have USDOT Number and Motor Carrier license number. – Does the company’s representative sound professional on the phone? A representative should introduce her/himself and answer with a company name when the customers are calling. – Customers are allowed in the office A reputable moving company will accept customers in the office, answer all their questions and even show trucks and other equipment they are using. They will be willing to assist you and provide moving related tips and guidelines. – They accept various methods of payment If the company insists exclusively on a cash payment and a high deposit, this might be a sign that you are dealing with the fraudulent movers. A reputable moving company will send the representative to assess your belongings and give you an accurate moving estimate in writing. They will reveal all fees and possible additional charges for moving certain items and some special packing material. It is highly recommended to get quotes from several moving companies and compare them. Pay attention to much lower estimates! Hiring the cheapest movers could be very problematic in terms of the quality of the service and movers’ honesty. The lowest possible offer is usually not a good deal, so consider each offer carefully. Also, en estimate provided over the phone may be a sign that you are dealing with an unprofessional moving company. Regardless of the workload, a reputable moving company should always act professionally. They need to stay organized so that they can handle numerous moving-related requests. whether you are moving across the city or across the country it is necessary to find trustworthy movers. Do not hesitate to ask right questions so that you can understand the terms and conditions of the move. If you start researching moving companies ahead of time, you will get the chance to compare the offers and hire movers that meet all necessary standards.